Chakrabongse Bhuvanath, Prince of Phitsanulok, (Thai: จักรพงษ์ภูวนาถ; rtgs: Chakkraphong Phuwanat; 3 March 1883 – 13 June 1920), was the 40th child of King Chulalongkorn and the fourth child of Queen Sri Bajarindra. The prince was sent to Czarist Russia in his teens, where he studied at a Page Corps. He returned to Siam with a Russian wife, Catherine Na Phitsanulok (Yekaterina Desnitskaya; Cyrillic: Екатерина Десницкая) and an honorary commission in a Hussar regiment. The prince and princess had one son, Prince Chula Chakrabongse. 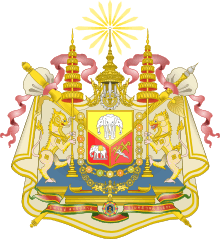 The Prince and his wife lived in Paruskavan Palace in Bangkok. 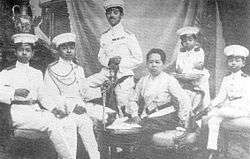 Prince Chakrabongse served as Chief of Staff of the Royal Siamese Army until his death at the age of 37 in 1920. He and his brother Prince Purachatra, Commander of the Army Engineers, were instrumental in the development of aviation in the Kingdom. Prince Chakrabongse is best remembered today as the father of the army's Royal Aeronautical Service, a forerunner to the Royal Thai Air Force. The prince was a favourite son of both the King and Queen. He represented his father on many foreign visits, such as to the wedding of Crown Prince Wilhelm and Crown Princess Cecilie of Prussia, the funeral of King Umberto I of Italy, and the coronation of King George V and Queen Mary of Great Britain in 1911. 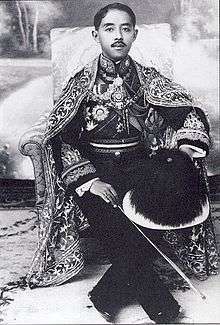 Prince Chakrabongse died in 1920 at the young age of 37.